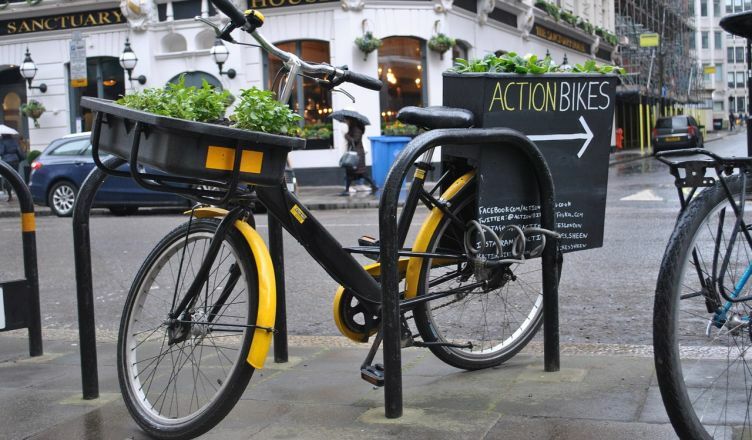 Whether you are using your bike just for going to work or you cannot imagine one day without cycling, as part of your daily sports routine, it is best that you know all the cool places which are popular among London’s bikers. It goes without saying that in such a hectic city it is a proof of courage to face the traffic and ride your bike, even if it is only for a few hundred meters. However, the advantages of cycling, besides the ones concerning your health and fit condition, are that you will be able to arrive in time wherever you go. Sometimes though it is better that you know beforehand the route you are going to take, so you can avoid queues, roads which are not optimized for cycling or very crowded streets where it is almost impossible to even walk, not mention cycle. Good news for you! We have put together a list of the most popular routes for cyclists, for both going to work and taking your bike for a leisure walk in the park on a Saturday afternoon. Mind you, the list will also contain some shortcuts and tips regarding which routes can be switched, in order for you to avoid traffic jams and feel safe while riding your bike. Richmond Park offers one of the most popular trails in London, due to its scenic circuits, which also combine two sides of London: the city centre and its rural, traditional areas. The park itself is a major point of attraction, which is why the trails surrounding it might be busy at times. However, if you follow the traffic indications, don’t exceed the speed limit and make sure to avoid the rush hours, you should be in for a treat. The big advantage with this trail is that not only you will be able to avoid the hustle and bustle of the city centre and enjoy a calm and relaxing ride, but you will also be safe and reach work in time. If by this time you decided to continue your ride on a Saturday afternoon, considering that you only made a small stop in Richmond Park for an ice cream and to catch your breath, then it is a must that you continue your journey with our next trail. When you leave the park, make sure to avoid the Broomfield Hill, as there is something else which is waiting for you. Box Hill might look like a trail designed especially for professional bikers, however, don’t be let down by its heights. Also called the ‘’Zig-Zag road’’, this trail was part of the Olympic tour-cycling back in 2012, however, this does not mean that you cannot do it. Give it a try and enjoy the spectacular vistas surrounding you. Is your adventurous inner self still not satisfied? The make a final stop at The Olympic Park, where you will find forests, trails full of leaves and mud and a lot of excitement along the way. Even if this trail is more off-road, it is still considered an option for those who like to get dirty and experience a different ride. Which Trail Is the Most Suitable for You? All in all, we might know London as being a jammed city, however, it does offer you the alternative of a healthy and quick ride, at any time during the week or weekend. You just have to go out and explore the endless trails waiting to be discovered. However, make sure to start with the one we have suggested above, which will surely satisfy your appetite for adventure. About the author: William Benetton is a journalist, blogger, and writer. He writes about all kinds of sport and playing football with his friends every week. He is passionate about people, places and travel.